SALT LAKE CITY, March 22, 2019 (GLOBE NEWSWIRE) -- ClearOne® (NASDAQ: CLRO), a leading global supplier of audio and visual communications solutions, today announced that their new Beamforming Microphone Array Ceiling Tile and CONVERGE® Huddle have received 2019 rAVe Best of ISE Awards in the “Best Room Mic Array” and “Best Collaboration System Product” categories. Hand-selected by rAVe editors and reporters after evaluating every new product shown at ISE in respective product categories. Patented Ceiling Tile Beamforming Mic Array with a superior architecture for reduced complexity and cost. 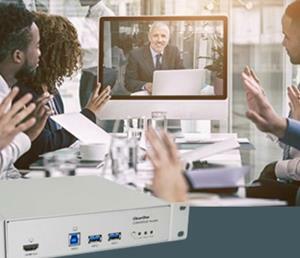 Versatile solution for multiple-use huddle-room environments at a price point that meets budget requirements for audio and video collaboration applications. 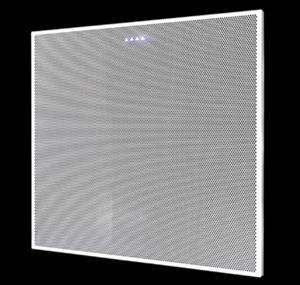 The ClearOne Beamforming Microphone Array Ceiling Tile (BMA CT) significantly reduces complexity and cost with its built-in echo cancellation, noise cancellation, and multi-array setups that can utilize a single, low-channel count DSP mixer while maintaining ClearOne’s high level of performance and reliability. Further simplification comes from the array’s built-in power amplifier, which allows each array to drive two 10-Watt, 8-Ohm loudspeakers. The BMA CT also features ClearOne’s proprietary adaptive steering technology (think of it as smart switching). This provides impeccable room coverage while eliminating the need to adjust individual beams. The integrator-friendly CONVERGE Huddle, derived from ClearOne’s latest CONVERGE Pro 2 line of DSP mixers, comes equipped with the latest Acoustic Echo Cancellation and Noise Cancellation audio processing algorithms. Using CONVERGE Huddle, audio and video collaboration applications are accomplished through a single cable connection to users’ Bring Your Own Devices (BYOD), such as laptops, tablets and smartphones that run applications such as Spontania®, Skype®, Skype for Business, GoToMeeting™, WebEx®, COLLABORATE® Space, and more. 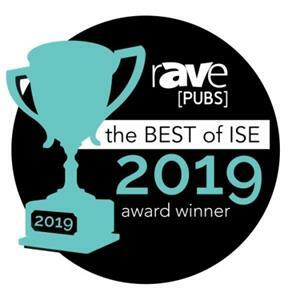 The rAVe Best of ISE Awards are determined by the publication’s staff and represent what they believe to be the best products introduced by the more than 1,300 exhibitors at ISE 2019, which was held February 5-8 in Amsterdam, The Netherlands. To view the full list of winners, click here. rAVe [Publications], founded in 1998 by Gary Kayye, is the leading news organization that provides coverage of the commercial (ProAV) and residential (HomeAV) audiovisual trade industries via e-newsletters, blogs, video, social media, and a variety of other mediums. The target audience for rAVe’s publications is “AV Insiders” – AV dealers, integrators, consultants, designers, etc. that deal in the sale, specification, design and installation of audiovisual products. ClearOne is a global company that designs, develops, and sells conferencing, collaboration, and network streaming solutions for voice and visual communications. The performance and simplicity of its advanced, comprehensive solutions offer unprecedented levels of functionality, reliability and scalability. Visit ClearOne at www.clearone.com.